1. Place the diced tomatoes in a colander to allow some juice to drain off. 2. Toss the tomatoes with the garlic, basil and Dulcet Essential Balsamic Sauce. 3. Cook the pasta in salted boiling water for 4 ½ minutes or until al dente. 4. Remove the pasta from the stove, place in colander to drain, then toss with the extra virgin olive oil. 5. 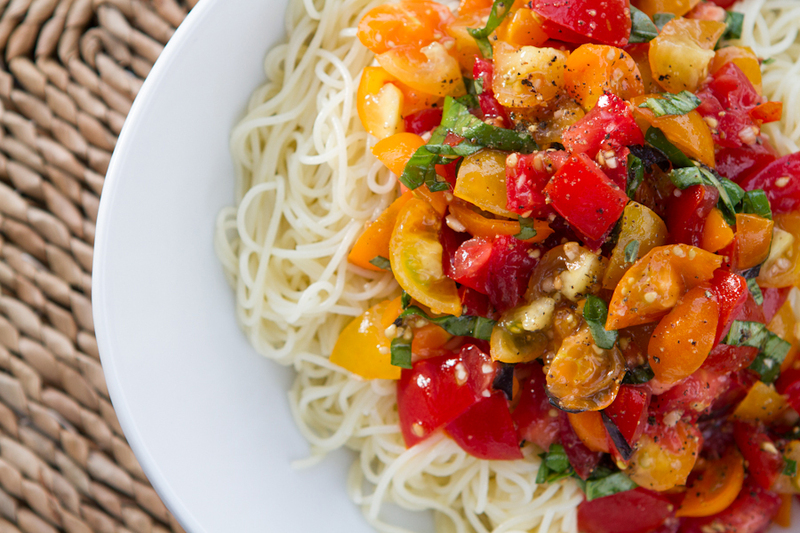 Place the pasta in bowls and top with tomatoes. 6. Season with salt & pepper and top with the parmesan cheese.